Find hotel near Shai Hills Resource Reser ..
Shai Hills Resource Reserve is a resource reserve located in the Greater Accra Region. Originally, this region was home to the Shai people before they were expelled by the British in 1892. Spread over 47 square kilometres, this reserve was established in 1962. In 1971, this area was converted into a Game Production Reserve. This place is great for wildlife viewing. 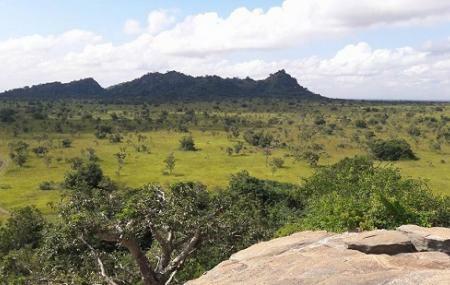 This small fenced area is largely made up of Savanna covered plains. Various species of mammals, birds and reptiles are found in this reserve. Make your visit suitable to your interest, use Accra trip planner for personalization. Add comfortable hotels to your plan, choose from the recommended hotels in Accra like Valleystreams Hotel, Roots Apartment Hotel, Midindi Hotel and Oak Plaza Hotels East Airport. Create your own Accra vacation packages or choose from the ones made by travel experts. Also explore the best ways for how to reach Accra. I love the new outlook of the place the art works on the grounds are sold and beautiful. This is a place u need to come when u won to pray peaceful and get clear sound mined. Awesome place to be and you really feel the touch of the natural environment. Perfect place to get closer to God.